Although we’ve written many posts about budgeting, we’re sure that there are still people who think, “Budget Smudget. Why bother? It’s going to be too time-consuming. Blah. Blah. Blah.” After doing a budget for so long, even we came to realize that we could benefit from automating our budget as well. We never felt it was time-consuming, but we have figured out how to be more efficient. So we’ve decided to share what’s worked for us and three things to automate in your budget to save time. From the time we started using our budget template up until when we started this blog, we would type the numbers that we allocated for each item in our budget Every. Single. Time. It didn’t take us long to do so. But one day while discussing the budget, I mentioned to Omar that since we always allocate the same amount for most things every time we do the budget, why not pre-fill the budget template with those numbers. That way we could copy and paste it each month and add anything extra we needed to. I don’t know why we didn’t think of this years ago. I personally don’t like the idea of allowing companies to automatically draft money from our account. So we only have our car insurance set up that way because of the discount offered. And we pay all the other bills online once they’re due. If this is something you don’t mind, then this could save you some time on doing your budget. However, what we currently have set up is automatic transfers for our savings accounts for some of our sinking funds. This was Omar’s idea. We save monthly for things that are due yearly like our property taxes and insurance for our home; HOA fees; and our life insurance policies. 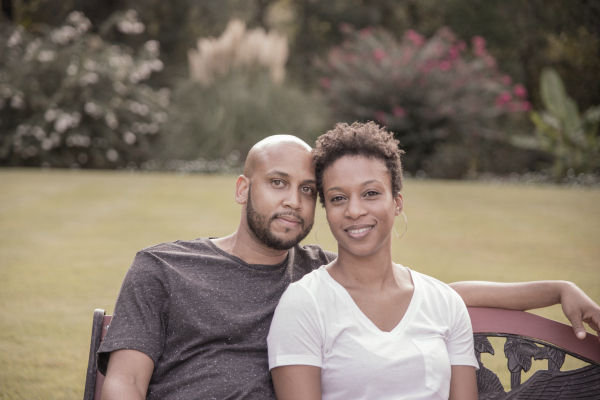 By doing this, we don’t have to worry about coming up with a large lump sum right before the due date. In the past, we would transfer the money every month by logging into our banking account and so forth. Now, we have it set-up for automatic transfers for the 15th of each month. It’s one less thing that we have to do when it comes to the budget. Instead, we just check the account to make sure the transfer took place. If you’re investing in the 401(k) from your employer, then that’s already taken out of your check before you even see it. However, if you want to do some investing outside of that, then that’s something that should be included in your budget. We decided to start a Roth IRA for me since my employer at the time wasn’t offering a guaranteed match with the 401(k). We wanted to try to max out the Roth IRA each year. So we calculated how much it would take per month and added that to our budget template monthly. And then we set up automatic transfers for this as well. By adding the additional investing to our budget like it was another bill that had to be paid, it helps to make sure that we actually do it each month. It also helps to make it not seem like it’s such a big chunk of money coming out per month because we choose to look at it as an expense that we must pay. 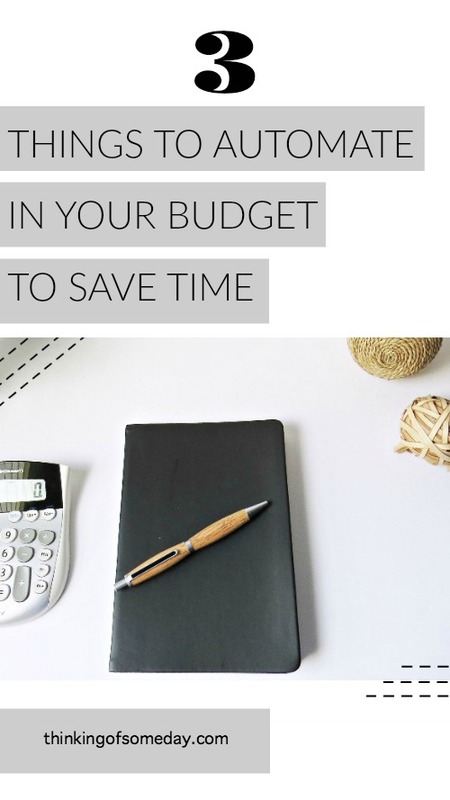 As stated before, we know that some people think that doing a budget can be time-consuming. If this is you, then you can try these 3 things to automate in your budget and see if it’ll help you save some time. It has definitely helped us. ** If you’re interested in doing a budget, but don’t know where to start, you can check out, How To Get Started With Doing A Zero-Based Budget. And if you want a free copy of our budget template, you can get it by clicking here and subscribing to our blog.